It is maybe the most infamous unfinished film ever, with its poignancy heightened by its tragic star. Henri-Georges Clouzot’s Inferno is now probably every cineastes’ favorite lost movie, thanks to Serge Bromberg & Ruxandra Medrea Annonier’s documentary (released in New York in 2010), but Romy Schneider would probably be the favorite of far more movie fans had she not died prematurely at forty-three, from cardiac arrest. She should be considered an icon on the level of Marilyn Monroe and Sophia Loren. Viewers will understand that assertion when they watch The Inferno Unseen (trailer here), a collection of surviving rushes and screen tests from Clouzot’s film that never was, assembled into a master-cut by Rollo Smallcombe & Marketa Uhlirova, which screens on the opening night of the Fashion in Film Festival at the Museum of the Moving Image. Clouzot was often dubbed the “French Hitchcock,” but his work seemed dated during the era of the Nouvelle Vague. However, the suspense auteur had a vision that would have leap-frogged all the New Wavers. As he originally conceived Inferno, it would have told the story of a jealous older husband possibly driven to murderous extremes by his highly desirable young wife, but there would have been experimental interludes that would have expressed his psychological turmoil through surreal imagery. Despite a lot of money spent by Columbia Pictures, it never came together. The Bromberg-Annonier documentary tells that story quite compellingly. In Unseen, Smallcombe & Uhlirova invite us to engage with the images directly, with minimal filters, aside from a smattering of commentary from Bromberg. Taking in this footage is a weird experience. You feel like you are watching the ghost of a film that was stillborn, yet still haunts the cinematic collective unconscious, very much like the work print of Orson Welles’ The Deep that screened at MoMA in 2015. Of course, Schneider makes it even more haunting. She was one of the few movie stars who could exude sexual magnetism through the screen yet was also totally credible playing classy and cerebral characters. 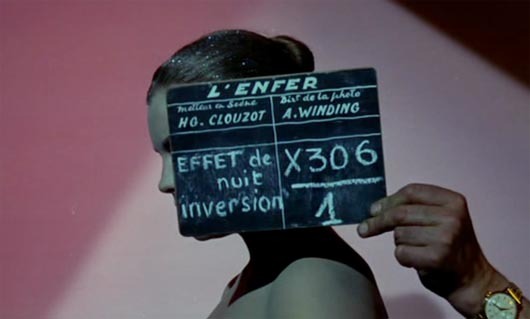 In fact, the surviving footage is surprising steamy, thanks to Schneider and French starlet Dany Carrel, who both rock the frocks and swimwear designed by legendary film costumer Jacques Fonteray (whose credits include Barbarella, Borsalino, and Moonraker). 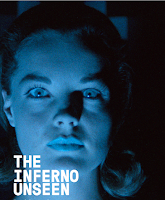 There is indeed good reason Inferno Unseen is opening the Fashion in Film Festival. 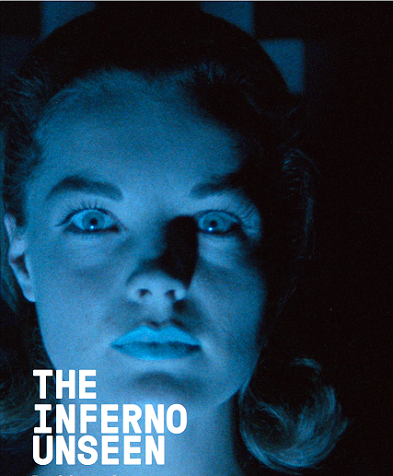 Clouzot’s Inferno is one of the most tantalizing what-could-have-been stories in cinema history, along with Jodorowsky’s Dune and half a dozen unfinished Welles films. The assembled images in Inferno Unseen help satisfy our lingering curiosity, while also inspiring elegiac feelings for something that never was. It is highly recommended as a viewing experience this Friday (4/6) at MoMI, with a live electronic score accompaniment by Smallcombe, while the earlier documentary is highly recommended as some truly fascinating cinema history when it premieres on MUBI this Saturday (4/7).